Using the Budweiser Super Bowl Puppy Commercial 2015 as an example. 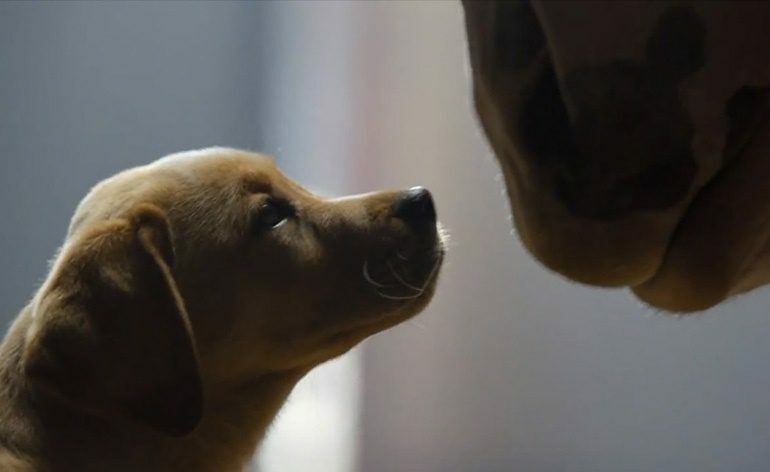 Why does everyone love this Budweiser puppy ad? Super story structure that touches on all the right emotional notes. Basic plot points are like story fractals that appear in every level of the structure. The same plot points that form the basis for feature film, also work for short films, and scenes too. Student filmmakers should study ads for short film ideas. The theme of an ad is to buy the product. How do you sell more beer? Make the mascot a hero in a puppy film! By Sherri Sheridan from the new book “Filmmaking Script To Screen Step-By-Step”.